Last week, I wrote about the aerobatic accomplishments of a certain turkey vulture that I saw swooping low over the ground in its quest for tasty tidbits of the less-than-living variety. But, what I didn’t get to mention is that that turkey vulture wasn’t the only avian acrobat I saw that day. Later on that drive, as I really got into the thick of town, I saw another airborne creature navigating the obstacles up high as I made my way through the tangle of vehicles and traffic lights below. It was one of our native brown pelicans — that beloved big-billed bird that went from the brink of extinction (locally, anyway), to becoming one of the most iconic — and prolific — sights along the Laguna Madre. The local topography around Port Isabel and South Padre Island can be somewhat deceptive when it comes to observing the flight of pelicans. They tend to like flying close to things — close to the Queen Isabella Memorial Causeway, close to the crashing waves just off the beach, close to the calm waters of the bay. When you see them flying close to these landmarks, it’s usually from a similar perspective. Birds flying out over the sandbars are seen from the vantage point of the sand. Pelicans seen skimming just above the water’s surface on the bay are similarly seen from shore, or perhaps a bay boat. A pod gliding near the railing on the Causeway is seen from the inside of a car that is driving along the bridge. In each of these sightings, it appears as if the pelican is a rather terrestrial bird. It flies low, close to people and the places we inhabit. And it kind of makes sense when you consider how clumsy their flight can seem. Takeoffs are slow and laborious. There’s lots of flapping of wings for the short amount of altitude gained as a result. Like the raptor of last week’s column, pelicans are more adept at soaring on wind currents than they are at slicing through the air with any sort of finesse — unless, of course, they’re tucking in their wings for a laser-accurate dart into the water to catch some fish. But, that doesn’t mean they’re without aerial skill. Those pelicans flying alongside the Causeway, for instance, are soaring some 80-90 feet above the water. That’s about the height of a 7-story building! And there’s another local spot where pelicans can sometimes be seen, where their languid flight looks deceptively simple. 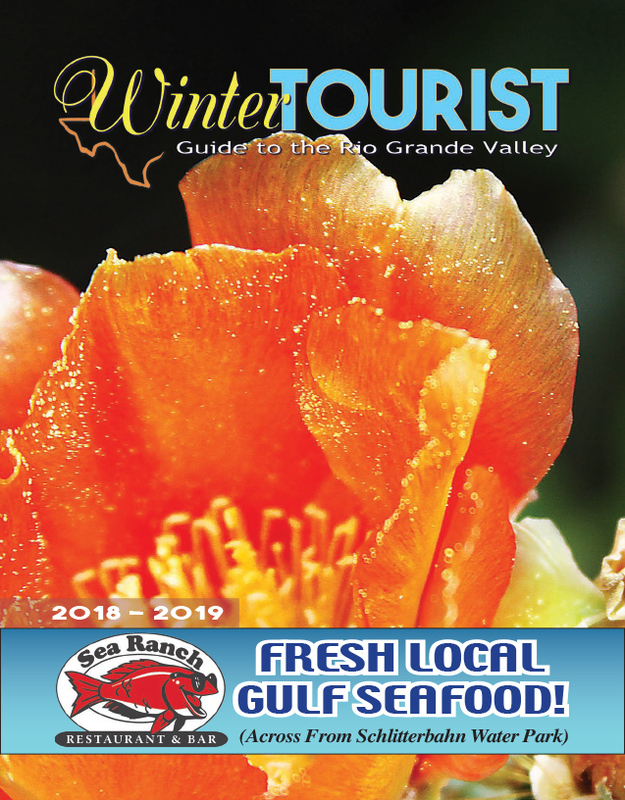 Along Queen Isabella Boulevard in Port Isabel, right around the spot where a bait shop sits on one corner, and a restaurant sits on another, a channel cuts through the heart of the city. Pelicans like to hang out in the water there, but sometimes like to see what lies on the other side of the road, and so they take to the air to fly over traffic, wending their way through the web of power lines that hang high above. It was here that I saw a whimsical, magical sight. Just east of the bait shop, a pelican was preparing to slip between the power lines. I watched as it alternated between flapping its wings to gain height, and tucking them in close for fractions of seconds to lose altitude, before finding the Goldilocks spot where it passed safely through, with electrified wires both above and below. It had threaded the needle, and marvelously so!